Foods are natural healers. And the right foods can help fight and prevent various types of cancer that occur due to uncontrollable cell division (1), (2). Scientists all over the world are working to find ways to avoid and treat cancer – and many of them agree that the best way is to consume foods with high antioxidants and anticancer properties (3). 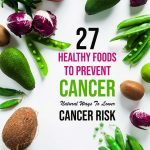 In this article, I have listed 27 hand-picked, scientifically proven foods that help prevent cancer. Give this post a read to know about the foods, how much to consume, and the best way to do so. Swipe up! Garlic, a close relative of onion, is widely used in Mediterranean cooking. Apart from adding flavor to cooked foods, the cancer-fighting properties of garlic make it an ideal ingredient to stock in the kitchen. Scientists have found that garlic contains oil-soluble diallyl disulfide that helps suppress breast cancer. It does so by metabolizing enzymes that help nullify the actions of carcinogens (cancer-causing agents), flushing out reactive oxygen, and inhibiting cancer cell division (4). Consume 2-3 garlic cloves (medium size) per day. 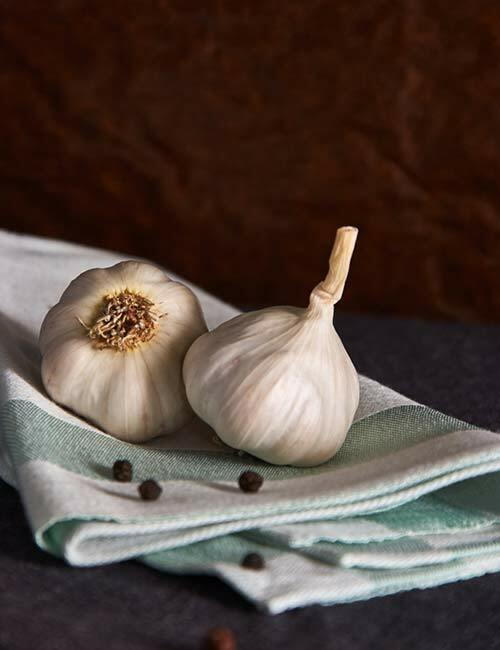 Chop a garlic clove, rest it for 2 minutes, and then chew it raw. Broccoli and broccoli sprouts (broccolini) are both anti-cancer foods. They contain a high amount of sulforaphane, a biologically active chemical, which is a metabolic byproduct of cruciferous veggies. Researchers proved that broccoli could help reverse prostate cancer by scavenging reactive oxygen species and inhibiting cell division (5), (6). Consume 5 servings of broccoli per week. Blanch it or cook it for a very short period. 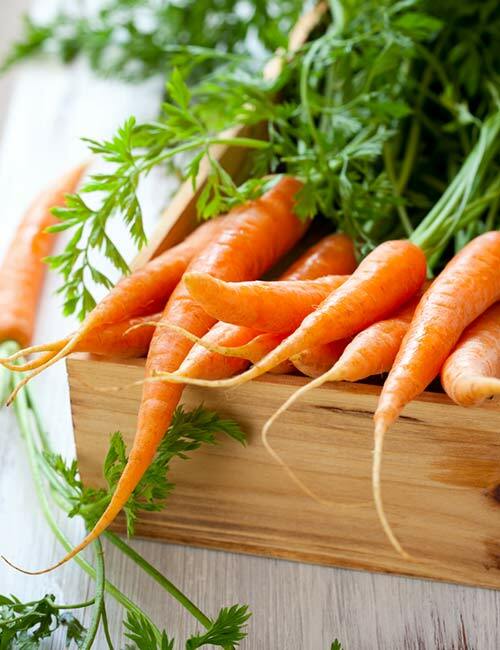 Carrots are brightly colored, sweet, and crunchy and loaded with β-carotene, which is a potent anticancer agent. Korean scientists conducted an experiment by supplementing smokers with carrot β-carotene and monitored them for 8 weeks. They found a significant reduction in lymphocyte DNA damage (7). The beta-carotene present in carrots is an antioxidant, and it boosts the immune function of the body, which helps fight and prevent cancer (8). Blueberries are the most popularly consumed berries. They are storehouses of nutrients that help fight many diseases, including cancer. American scientists confirmed that blueberry phenolic compounds helped inhibit cancer cell division, protect the DNA from oxidative damage, and reduce the production of pro-inflammatory molecules (9). The anthocyanidins present in blueberries inhibit the development of blood vessels that feed the tumor cells (10). Have blueberries raw and unfrozen to get the best benefits. 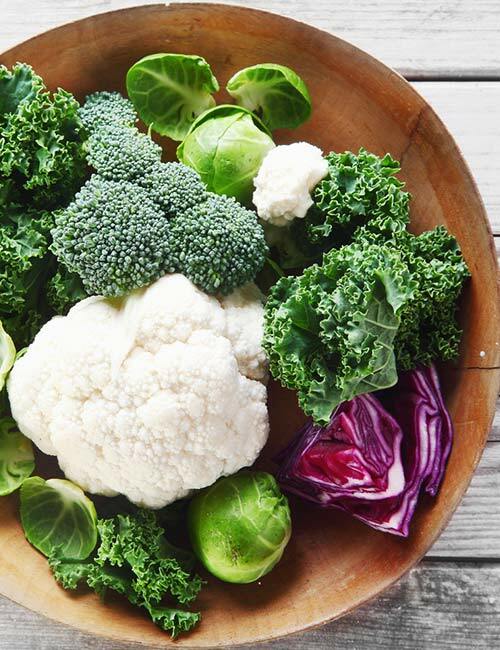 Cruciferous veggies like kale, cauliflower, radish, watercress, collard greens, cabbage, bok choy, arugula, turnip, and Brussels sprouts are loaded with beta-carotene, lutein, zeaxanthin, minerals, vitamins E, K, C, and folate, sulfur-containing glucosinolates, and biologically active compounds like indoles, isothiocyanates, and thiocyanates. All these compounds prevent DNA damage, reduce inflammation, inactivate carcinogens, and prevent the formation of tumor blood vessels (11). Consume ½-1 cup of crucifers per day. Make sure you have different types of cruciferous veggies on different days of the week. Blanch the cruciferous veggies or have them raw to fight cancer. Turmeric is a household spice and a natural food coloring agent that has many health benefits. And one of them is its cancer-fighting property. Researchers have unraveled the scientific reasons behind turmeric’s superpowers. Turmeric contains a biologically active compound called curcumin that has anti-inflammatory and antioxidant properties. Curcumin suppresses uncontrollable cell division, progression, and metastasis and causes cancer cell apoptosis. It also downregulates the signaling pathways of cancer-causing genes (oncogene) (12). Consume ½ inch of turmeric root or ½-1 teaspoon of turmeric per day. Consume raw turmeric root on an empty stomach or add turmeric powder to a warm glass of milk and have it before bed. Both papaya and papaya leaf extracts have been found to be beneficial for treating cancer. 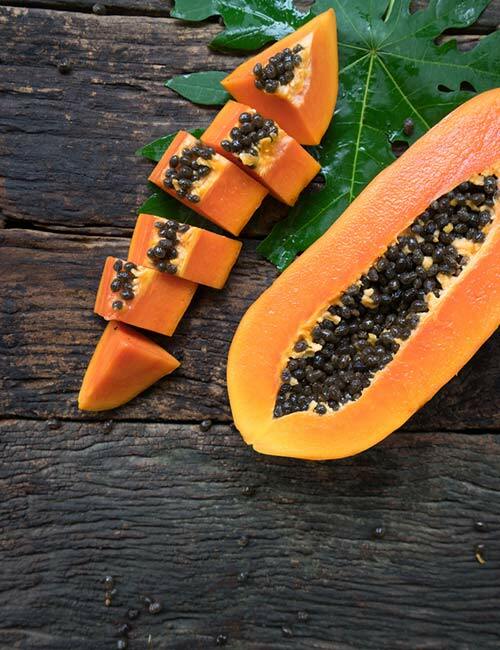 Scientists have found that a flavonoid-rich benzene fraction of papaya extract exhibited cell-protective, anti-inflammatory, and antioxidative properties (13). Researchers also found that papaya leaf extract could work against prostate cancer (14). Consume washed, peeled, and cubed ripe or green papaya. Ghee or clarified butter is used in Indian and Southeast Asian cuisines. But it is also a traditional medicine. Many Ayurvedic formulations contain ghee, and it is known to protect from diseases caused by pitta dosha. A study conducted by Indian scientists confirmed that ghee worked against liver cancer by downregulating enzymes that trigger cancer (15). Consume 1-2 teaspoons of ghee per day. Do not overheat ghee. Add it to the food after you are done cooking. You can also consume raw ghee. Mushrooms are protein-rich, edible fungi that are enjoyed globally due to their delicious taste and earthy aroma. They also have antioxidative, anticancer, antimicrobial, nephroprotective, anti-allergic, and immunity boosting properties. A few anticancer compounds found in mushrooms are krestin, calcaelin, hispolon, and lentinan – which protect you from colon, breast, lung, cancer, blood, and prostate cancers (16). 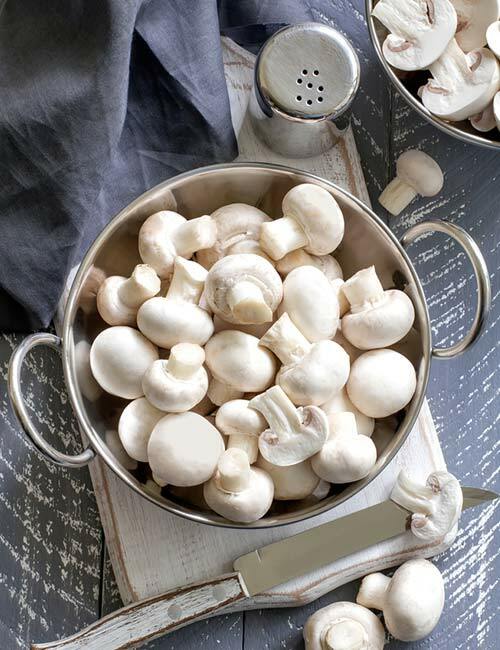 Consume about ½-1 cup of mushrooms every alternate day. You can eat a few mushrooms raw. If that’s not your preference, have sautéed mushrooms. Cinnamon is a spice obtained from the bark of the tree Cinnamomum. It is widely used to add flavor and sweetness to various cuisines around the world. Scientists have found that cinnamon contains tannin, essential oils, carbohydrate, and mucus, which have anticancer, antioxidant, and anti-inflammatory properties. It acts by upregulating the pro-apoptotic molecules while inhibiting oncogenes (genes that code for cancer-causing molecules) (17). Consume ¼ inch of cinnamon or ¼ teaspoon of cinnamon powder per day. Soak raw cinnamon in water overnight and have it the next morning to fight cancer. You can also make cinnamon tea. 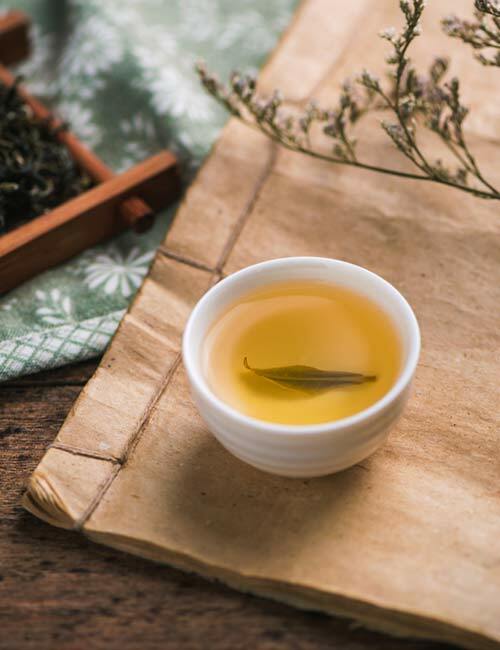 Traditional teas like green, black, yellow, white, and red teas are loaded with polyphenols like EGCG (epigallocatechin gallate), ECG (epicatechin gallate), and EC (epicatechin). They have antioxidant properties that help scavenge the harmful free oxygen radicals that mutate normal DNA to a cancerous one. They contain polyphenols that prevent cell division and cause cancer cell apoptosis (cell death). They also activate enzymes that protect against cancer, boost immunity, and protect from UV radiation damage (18). Consume 3-5 cups of green tea per day. Prepare green tea the traditional way. Avoid adding milk or sugar. Red, pulpy tomatoes are excellent sources of lycopene, which inhibits cancer cell proliferation (division) and prompts cancer cell apoptosis. Studies found that tomato lycopene was effective against lung, prostate, mouth, pharynx, larynx, colorectal, breast, cervix, and ovarian cancers (19), (20). Consume 1-2 medium-sized tomatoes per day. Leave out the seeds if your uric acid levels are high. Consume raw tomatoes for best benefits. Flaxseeds are known to induce weight loss. But scientists have gathered evidence that flaxseeds and flaxseed oil can also help prevent breast cancer. A component of flaxseed lignan, secoisolariciresinol diglucoside (SDG), gets converted into enterolactone and enterodiol. These compounds have anti-estrogen property and help decrease cell growth. 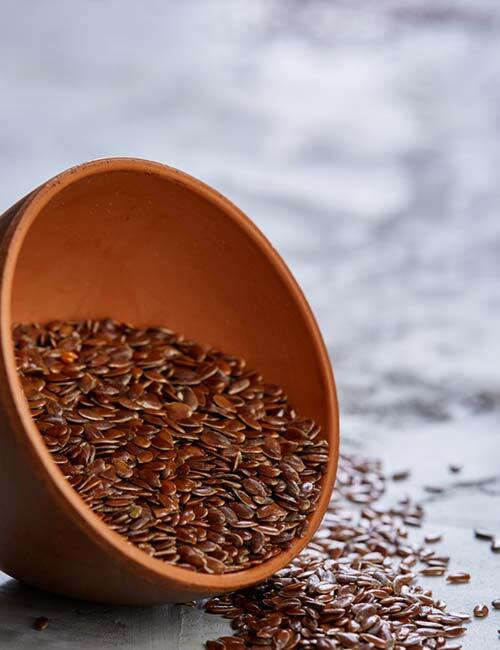 The alpha-linolenic acid present in flaxseeds also helps suppress cancer cell growth and progression (21). Consume 1-2 teaspoons of flaxseeds per day. Grind them into a coarse powder. Brazil nuts taste great and are great sources of selenium. Selenium helps reduce oxidative stress by scavenging the harmful oxygen radicals, preventing DNA mutation caused due to oxidative stress. A few selenoproteins also help prevent cancer (22). Scientists from Roswell Park Cancer Institute found that dietary supplementation of Brazil nuts helps prevent cancer of the mammary glands in laboratory models (23). Consume a handful of Brazil nuts per day. Consume in-shell, raw Brazil nuts. 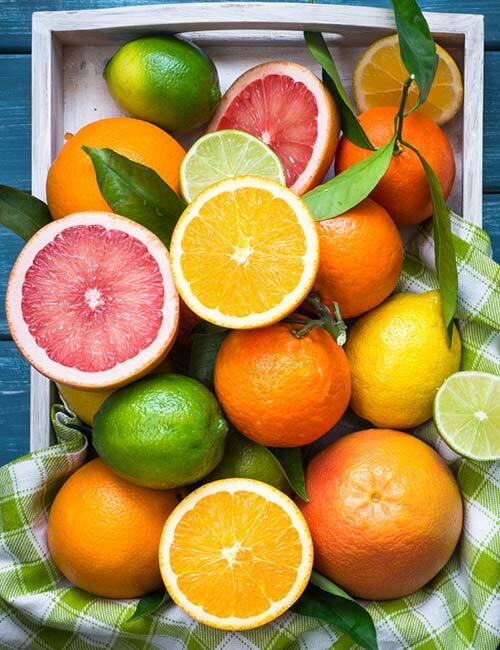 Citrus fruits like orange, lemon, lime, kiwi, grapes, tangerine, and grapefruit are loaded with vitamin C, a potent antioxidant. They also contain polymethoxyflavones that inhibit cancer metastasis, pro-apoptotic molecules, and angiogenesis (24). Scientists also found that citrus peel extracts could be potential medicines for prostate cancer (25). Consume 75-90 mg citrus per day. Consume raw citrus fruits or make lemonade or citrus fruit juice. Artichoke is another potent cancer-fighting food that you must consume often. It reduces breast cancer cell growth and proliferation, triggers cancer cell apoptosis, and inhibits the cancer cell invasion. It also halts the production of reactive oxygen species, excess of which can lead to DNA mutation, leading to cancer (26), (27). Consume about 6-7 grams of artichoke per day. Consume raw artichoke petals with hummus or any other healthy dip. 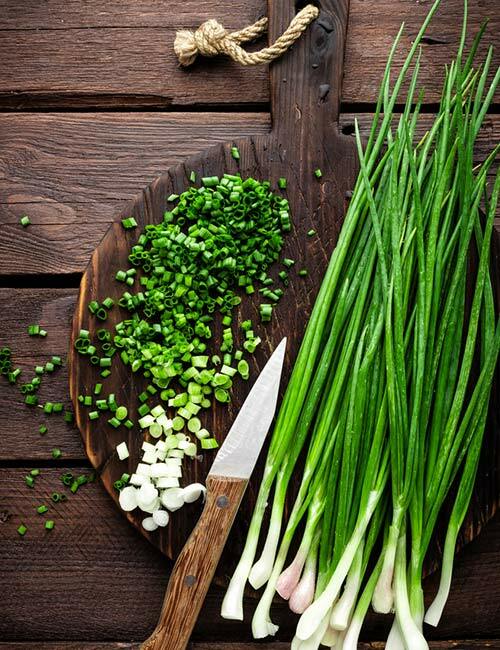 Scallions or green onions belong to the Allium family. They taste milder than garlic and onions and add a fresh aroma and delicious taste to Asian foods. Research proves that scallions are effective in protecting the cells from cancer. Scientists conducted an experiment in which hot water scallion extract was fed to the mice with colon carcinoma. It was found that the scallion extract induced cancer cell apoptosis and inhibited cell proliferation. So, we can conclude that scallions can prevent colon cancer (28). Consume about ½ cup of chopped scallions every alternate day. Sauté the white part and consume the green part raw. Kimchi is a traditional Korean food prepared by fermenting vegetables using probiotics. Apart from aiding digestion, kimchi also prevents breast, blood, and stomach cancers (29). It mainly contains cabbage and garlic – both of which are known to have anticancer properties. They help prevent oxidative damage of the DNA and arrest cancer cell growth. Consume about 2 tablespoons of kimchi per day. Consume it with salad or grilled veggies. 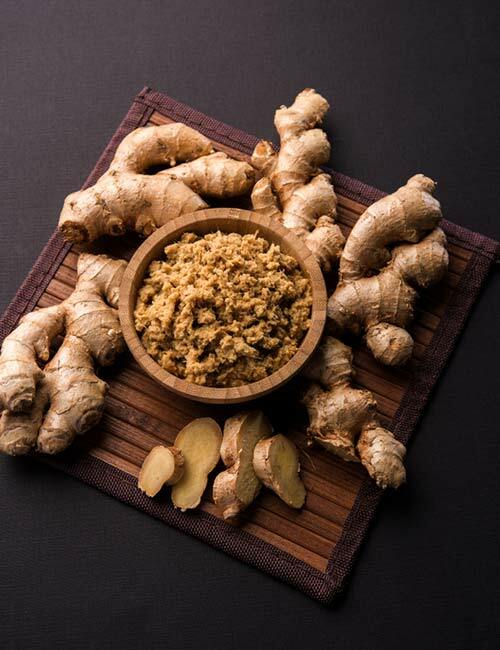 The main bioactive components of ginger are gingerol and shogaol, which help promote cancer cell death and suppress tumor growth. Scientists found ginger extract reduced inflammation and induced cell apoptosis in laboratory rats with liver cancer (30). The phenolic compounds and vitamins present in apples are very effective against various diseases, including cancer. The antioxidants in apple help nullify the reactive oxygen species and prevent colorectal cancer (31). Consume one apple per day. 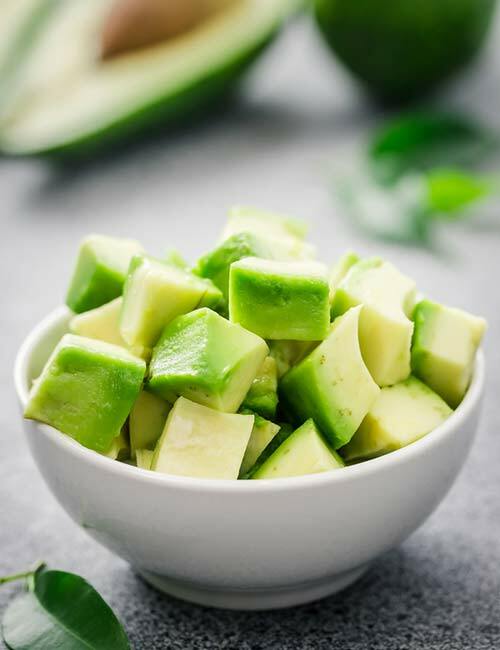 Avocado is rich in vitamin E and healthy fats. This rich, nutty-flavored, creamy fruit is enjoyed in salads, smoothies, and other food recipes all over the world. Scientists have proved that avocado is a potent anti-cancer food. It prevents DNA mutation and halts prostate cancer cell proliferation (32). Consume half an avocado per day. Consume raw avocado. Add it to salads, smoothies, and toasts. Sweet and red cherries may be small, but the health benefits they offer are enormous. The red color of the cherries is due to the presence of anthocyanin, a common flavonoid found in fruits and veggies. Cherries are great sources of vitamins A and C and contain nutrients that are antioxidant and anti-inflammatory. Scientists have found cherry to be an effective antidote for breast cancer (33). Consume ½ cup cherries per day. Consume raw cherries. Add them to your breakfast bowl or salads or make smoothies. Corn or maize is a cereal grain grown in various parts of the world. And it is a great source of energy as it is rich in good carbs. But it also can fight cancer. 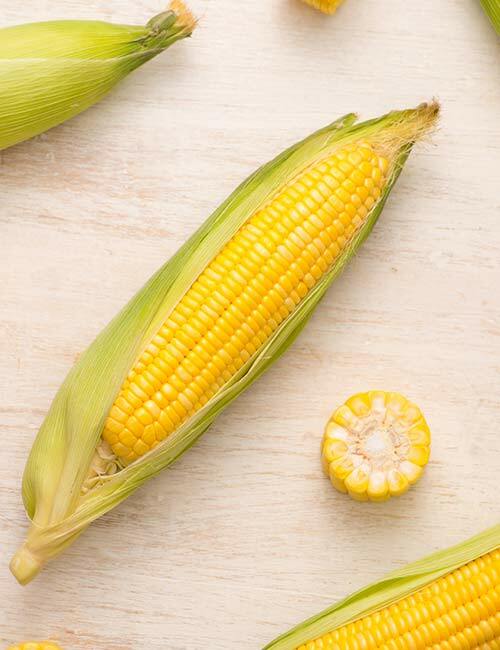 Corn has antioxidant, anti-inflammatory, anti-tumor, and anti-hypertensive properties – which help inhibit cancer cell growth and proliferation. In fact, the maize peptides are also therapeutic against cancer (34). Scientists have found evidence that purple corn also helps prevent cancer (35). Consume about half a cup of corn per day. Consume boiled corn. Avoid roasted or charred corn as the carbon residues are potential carcinogens. Dates have been found to be highly active against liver cancer. 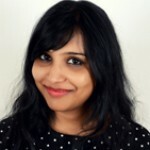 Scientists administered Ajwa dates to rats with induced liver cancer and found that these dates reduced inflammation, enhanced immunity, and reversed liver damage (36). Consume 6-7 dates per day. Consume fresh and ripe dates. Add them to your breakfast bowl, smoothies, and salads or just eat them as it is. 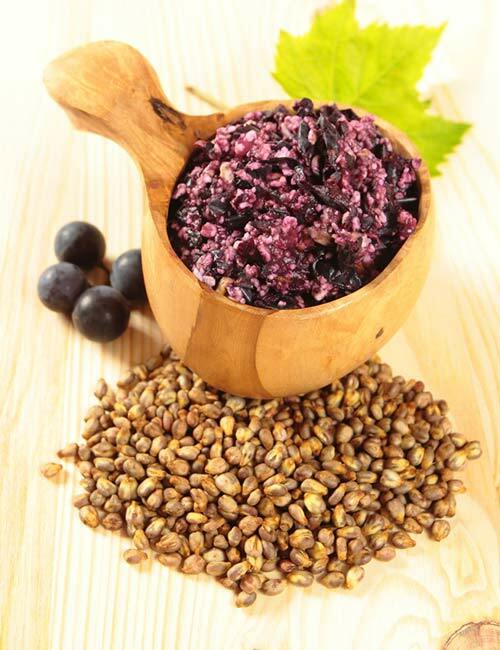 Grape seed extract contains anticancer agents known as proanthocyanidins (GSP). Researchers have found GSP to inhibit the progression of colon cancer by inducing apoptosis (cell death) and offer protection from skin, prostate, and breast cancers (37). Proanthocyanidins are also present in red wine and other fruits and nuts, but the richest source is grape seed. You can buy grape seed extract from any pharmacy. Consume 150-300 mg grape seed extract with 50-75% GSP. Consume grape seed extract first thing in the morning and before going to bed at night. Peas are a great source of antioxidants and have anti-inflammatory, antimicrobial, anticancer, and cholesterol-lowering properties. They contain biologically active compounds – like phytic acid, tannins, saponins, phenols, and isoflavones – that make them one of the best foods to prevent larynx, colon, breast, and liver cancers (38). Consume ¼ cup of peas every alternate day. Consume fresh, dark green peas that are boiled or raw. 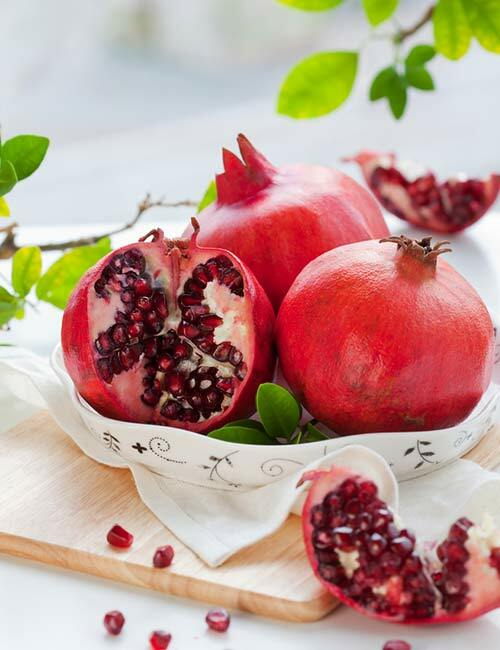 Pomegranate has amazing healing properties. And one of them is fighting cancer. It is loaded with antioxidants and is anti-inflammatory and has shown to inhibit the growth of breast, colon, lungs, skin, and prostate cancers (39). Consume ½ – ⅔ cup of pomegranate per day. Consume brightly colored pomegranate or make its juice. You can also add pomegranate seeds to salads and breakfast bowls. These are the 27 best foods that can help prevent and reverse various types of cancers. Follow the guidelines mentioned below to minimize the risk of cancer. Consume foods with high amounts of antioxidants. Avoid processed and charred foods. Do not overheat the cooking oil. Cook food at lower temperatures to prevent overcooking and charring. Avoid foods with added sugar. Do not consume foods with artificial color and flavoring agents. Add herbal supplements to boost detoxification. Avoid heating food in the microwave. Avoid keeping your cell phone too close to your body. Do not keep your laptop on your lap or chest. Do not jump to conclusions without undergoing a proper check up and getting tests done. If you feel constant discomfort for a month or so, check with your doctor. Also, since nothing is excess is good, ask your doctor about how much of these anti-cancer foods you can have per day. To conclude, Nature has every remedy that humans would ever want. Our current lifestyle, an exponential rise in pollution, destruction of the ozone layer, and advancement in technology are the main reasons for the development of various types of cancer. 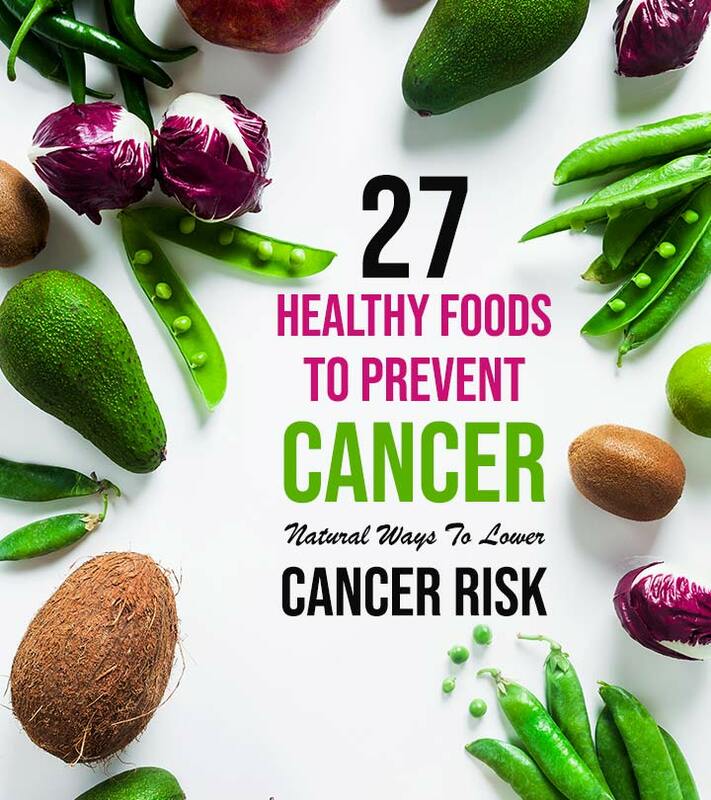 By consuming a few healthy foods and maintaining good lifestyle habits, you can stay away from cancer and even defeat it. So, start incorporating these foods into your diet to live a happy and long life. Take care!